Our latest wandering took us on a short trip that was full of excitement. Our first stop was F. D. Roosevelt State Park, Georgia’s largest state park, in Pine Mountain. 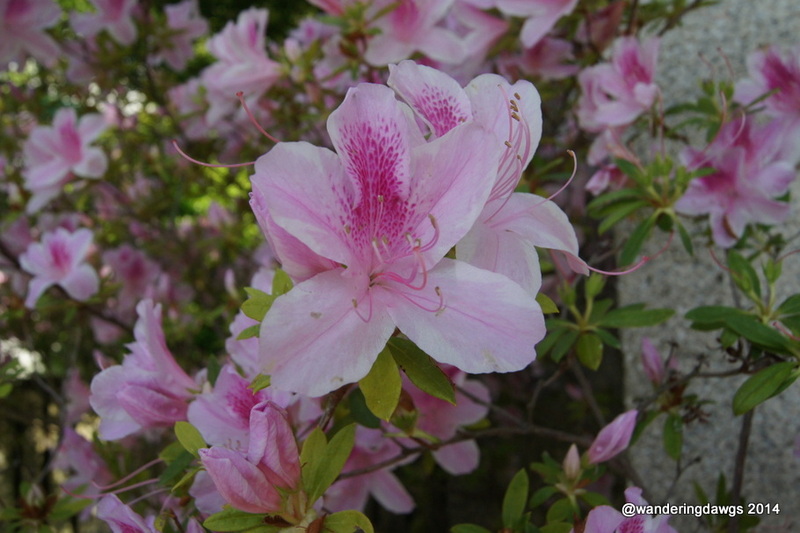 It was the perfect place for us to use as home base for exploring both Callaway Gardens and F.D.R.’s Little White House in Warm Springs. After driving in the rain on the winding road through the park we arrived at the Visitor’s Center to check in just after a tornado warning had been lifted. Everything was fine in the campground and we set up camp just before another rain shower began. With the sun shining the next morning we drove about 15 minutes from our campsite to Callaway Gardens. Located in the foothills of the Appalachian Mountains, Callaway Gardens opened in 1952. Today, there are many different gardens to explore, a lodge, golf course, swimming beach, and even a zip-line adventure. Our tour of the gardens began with a stop at the Pioneer Log Cabin. From there we strolled along the Lady Bird Johnson Wildlife Trail with many Georgia native plants. 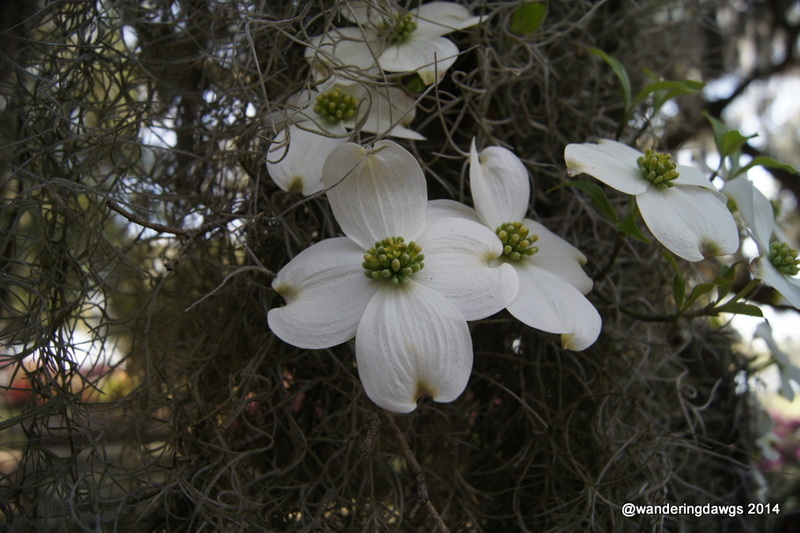 The Flowering Dogwoods and many other wildflowers displayed their brilliant spring colors. Next we walked on the trails to the Cecil B. Day Butterfly Center for a look at some tropical butterflies. Butterflies of all sizes, shapes and colors fed on the colorful blossoms and sailed by our heads as they flew from flower to flower. We learned about some of Georgia’s birds of prey at the Discovery Center. As our guide gave a very informative presentation, two different species of owl and a red tailed hawk flew over our heads during the program. 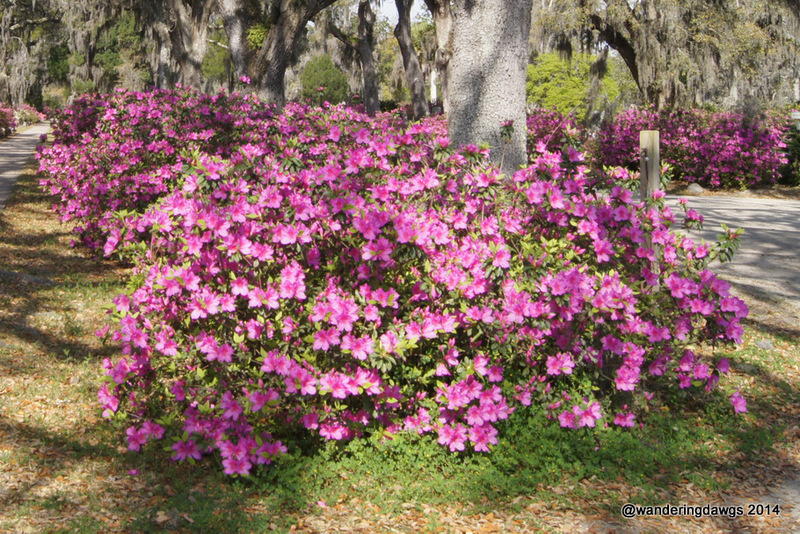 We must have just missed the Azaleas at their peak because most of the Azaleas on the Overlook Azalea trail had finished blooming. 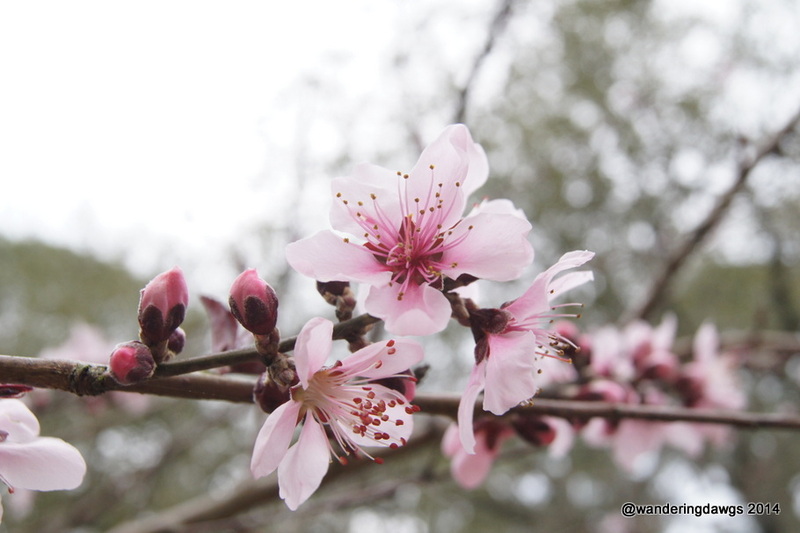 The Flowering Dogwoods and other trees added color to the landscape. 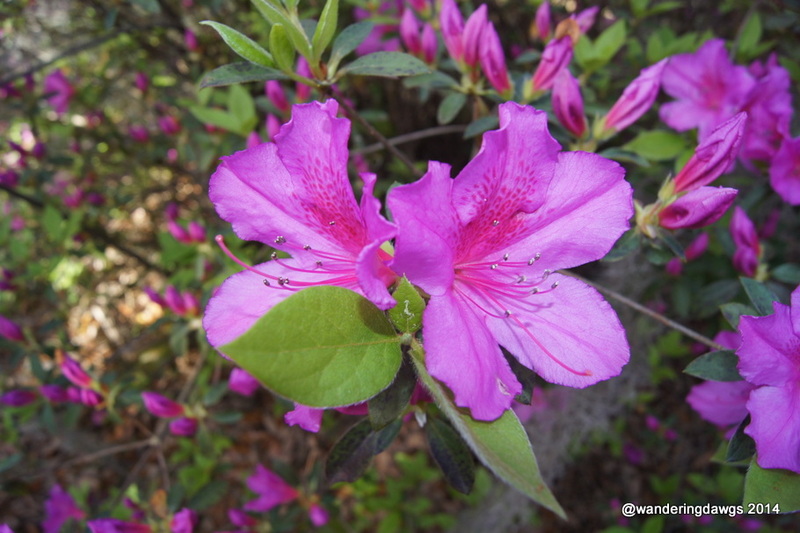 Our visit to Callaway Gardens included only a few of the many gardens there. It is a wonderful family destination and bicycles are a popular way to get around the park. There are several restaurants to choose from or you can have a picnic in one of the picnic areas. My favorite color is yellow so when I saw the theme of the weekly photo challenge I knew I had post something. There isn’t much yellow around at this time of year and my camera lens isn’t working so I started looking through my photos from earlier this year. My first thought was to choose yellow flowers. Then I thought, yellow sunrise and sunset. 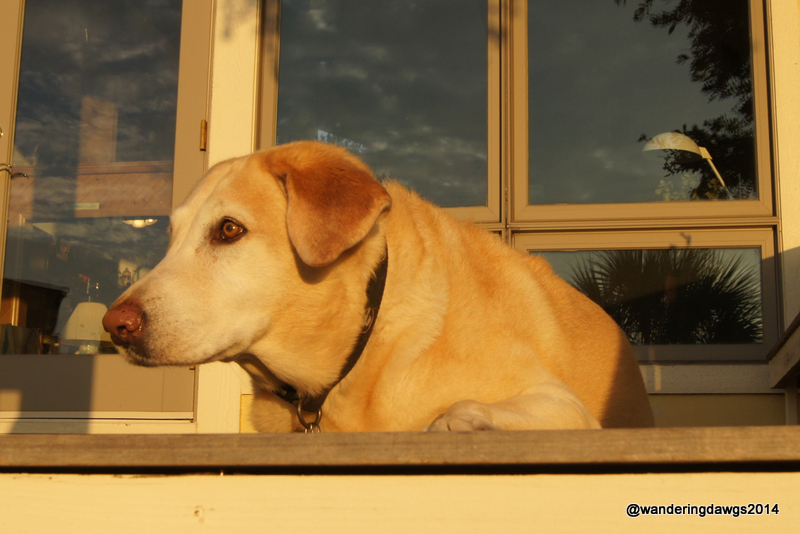 Wait, what about our yellow lab Blondie? Finally I decided why not all three? 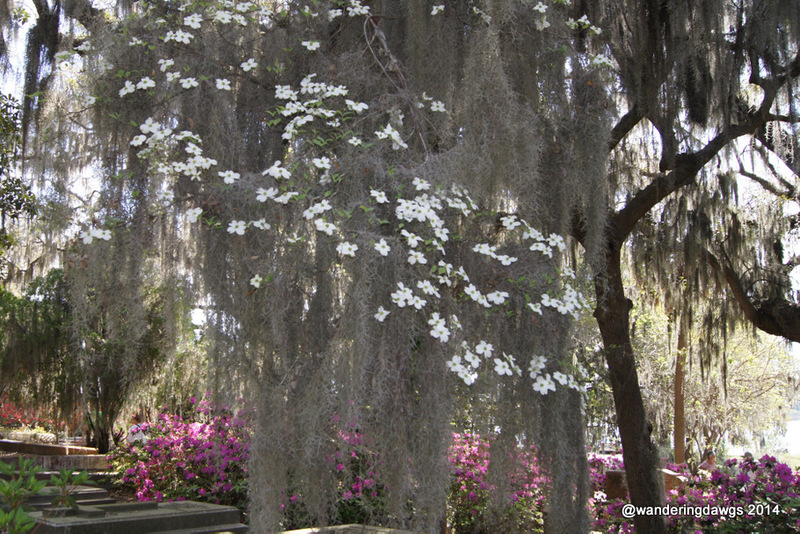 Nothing says springtime in Georgia like Azaleas, Dogwoods, Wisteria, and Peach Blossoms. We’re not wandering at the moment. These spring flower photos were taken near our home in Georgia. 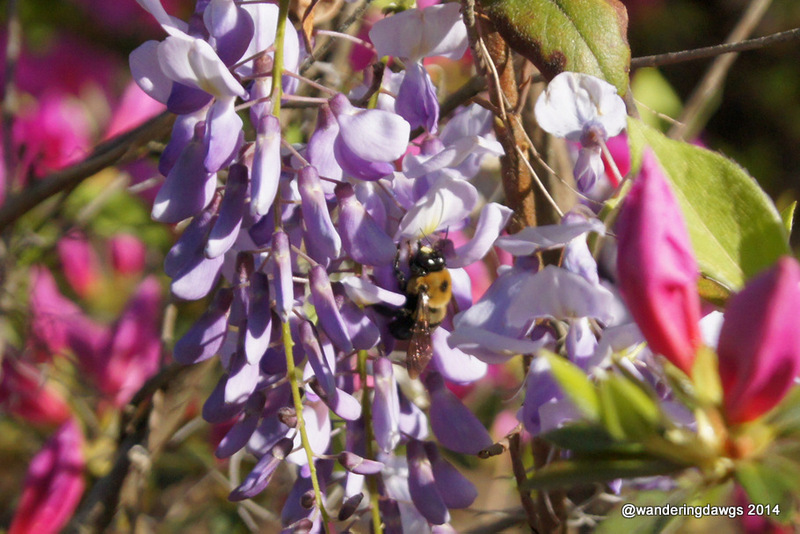 WordPress Weekly Photo Challenge: Spring!